WRCESTER, Mass. - Grant Koch tallied two hits and a RBI, while Nick Madrigal collected two hits and Gianluca Dalatri tossed 4.0 scoreless innings as the USA Baseball Collegiate National Team earned an extra-inning victory over Japan, 3-1 in 10 innings, on Sunday in the fourth game of the 41st USA vs. Japan Collegiate All-Star Series from Hanover Insurance Park at Fitton Field. With the win, the U.S evened the best-of-five series at 2-2. Tied 1-1 after nine innings, the two teams went to extra innings under international tie-breaking rules for the second time in the series as runners start on first and second base with no outs. The red, white and blue scored the go-ahead runs in the top of the 10th inning as Steele Walker bunted down the third-base line, but the throw to cut down the runner at third base got by Japan's third baseman and allowed both Travis Swaggerty and Madrigal to score. Dallas Woolfolk earned the win throwing the final two innings without allowing a run including retiring the side in order in the bottom of the 10th inning with one strikeout. Trailing 1-0 in the eighth inning, the U.S. tied the game as Walker drew a one-out walk, advanced to third base on a single by Andrew Vaughn to right field and then crossed home when Koch singled to center field. After four scoreless innings to begin the game, Japan scored the game's first run in the bottom of the fifth inning when Yoshitaka Nagasawa found a hole through the right side of the infield to bring home Ryosuke Tatsumi. Starting pitcher Dalatri tossed 4.0 innings shutout innings scattering two hits with four strikeouts for a no-decision. Japan's starter Katsuki Azuma threw 7.0 innings without allowing a run and tallied 11 strikeouts. The U.S. team ended the game with three runs on seven hits with no errors, while Japan finished with one run on four hits and two errors. 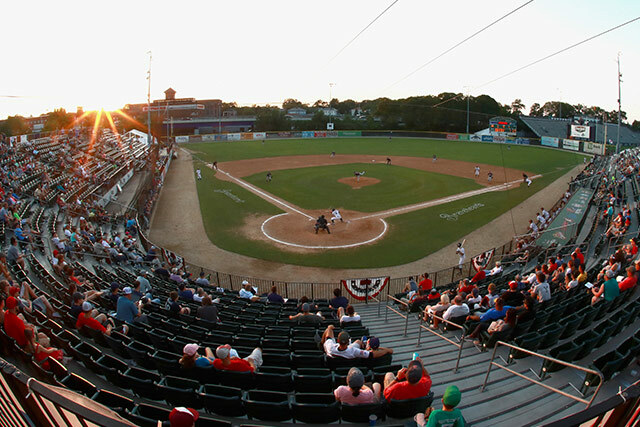 The United States and Japan will look to win the 41st USA vs. Japan Collegiate All-Star Series on Monday in the deciding game of the five-game series at 7:05 p.m. from Holman Stadium in Nashua, New Hampshire. It will mark the final game of the summer for the Collegiate team. The series against Japan is sanctioned by the World Baseball Softball Confederation.